This fall, join Hotel Ella for one of three guided day trips out to the 49th Original Round Top Antiques Fair in quaint Round Top, Texas. Twice a year, antiquarians, tastemakers and treasure hunters alike gather in Round Top as the small Texas town is transformed into one of the country’s largest antique shows, located just 90 miles outside of Austin city limits. 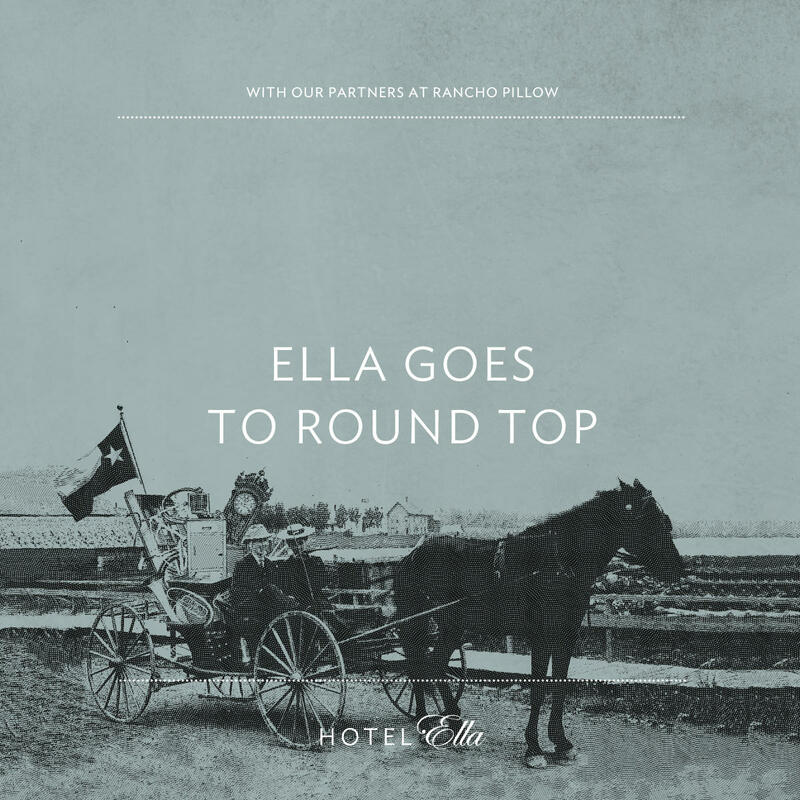 At the end of the day, stay for live music and a Feast in the Field at Rancho Pillow, a family-style dinner served under the stars.